The 65-acre park is home to the stars of TV’s ‘Monkey Life’ and ‘Monkey Business’, and provides sanctuary for rescued and endangered primates from around the world. 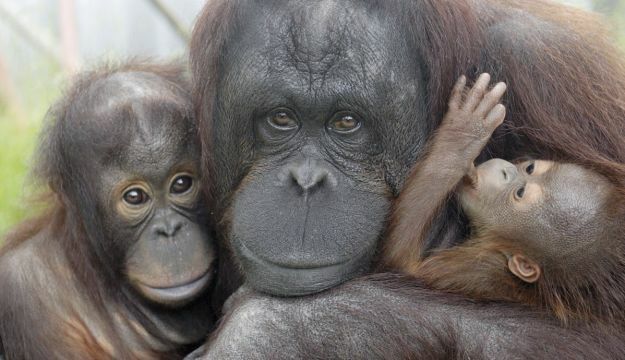 Some are now part of international breeding programmes for endangered species, including Europe’s official orang-utan crèche. Daily keepers’ talks provide a captivating insight into life at the park and its inhabitants – staff are so enthusiastic about what they do, giving a real feel-good factor. Pre-bookable guided tours are also available and offer the chance to learn more about the often-harrowing pasts of the primates and how their lives have been transformed since arriving at the safe haven of Monkey World. The park offers group discounts when you pre-book. Coach drivers in uniform are also offered free entry and a free drink! The park is well laid out and spacious for both humans and primates alike. While away the hours watching the monkeys and apes interact, then let the kids use up all their energy in the huge Great Ape Adventure Play Area. Café’s serve good value hot and cold food or there are numerous picnic areas to be enjoyed throughout the park. Open every day (except Christmas Day) visitors are welcome throughout the year.